Mergers and acquisitions hold promise for owners and investors of combinatorial synergies to reduce costs, increase profit, extend market and product coverage, as well as accelerate innovation. According to the Bloomberg 2012 M&A Outlook, more than 24,700 deals were conducted globally in the year to end November 2011. However, mergers come with a great deal of risk as reflected in failure rates that are reported to be between 40% and 70%. Despite best-laid plans and executive oversight, human factors present the greatest risk and sales-force integration is the toughest merger issue to overcome. In the B2B technology market we have all seen optimistic mergers and acquisitions struggle to achieve projections and prove a lie to the 1+1=3 equation that drove much of the pre-merger thinking. In many cases, the merger actually destroys shareholder value, where 1+1 is less than 2. Many post-merger business plans are based on pro-actively cross-selling for the 90-180 day period after the deal closes to generate quick-wins and build confidence and momentum, both internally and in the market; where company A’s sales team is tasked with positioning their own products as well as cross-selling company B’s products into their installed accounts and vice-versa. However in conversation with sales and marketing leaders in several merged companies in recent months, despite intensive product and sales training and incentives, the merged sales teams have failed to produce forecast results. In one company I spoke with the VP of product management; company A products are a market-leader and sales are growing as forecast, yet company B’s products which were fast emerging in different market niche have few leads and fewer sales and heads are beginning to roll. On closer examination it became clear that there were two key contributing factors that had been glossed over in the pre-merger plans. 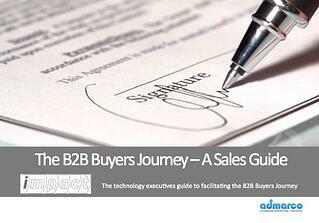 The I-M-P-A-C-T cycle is how B2B companies buy, with or without the help of a sales executive. 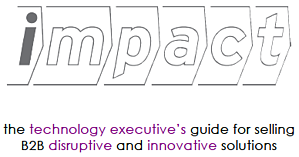 I-M-P-A-C-T stands for the steps in the buying process, from the initial Idea-Mentor-Position-Assessment-Business Case-through to-Transaction. Company A is a market-leader, much of the new business growth comes from referrals and its business is growing at 30% per year. A buyer of company A’s products is a pragmatic Early-Majority (EM) buyer, the buying category is mainstream, company A has a well-established brand and is considered a safe bet. Company B however is smaller and fast growing in an emerging market category They sell to Early Adopters (EA) in a Value Created way. It's salespeople are technical and their presentation style hands-on and demonstration-led. Several of their sales stars jumped ship in the first months after the merger, (another big risk in any merger is the top sales and pre-sales stars leaving). After one year, company A’s traditional customers still view company B’s products as interesting, but risky. 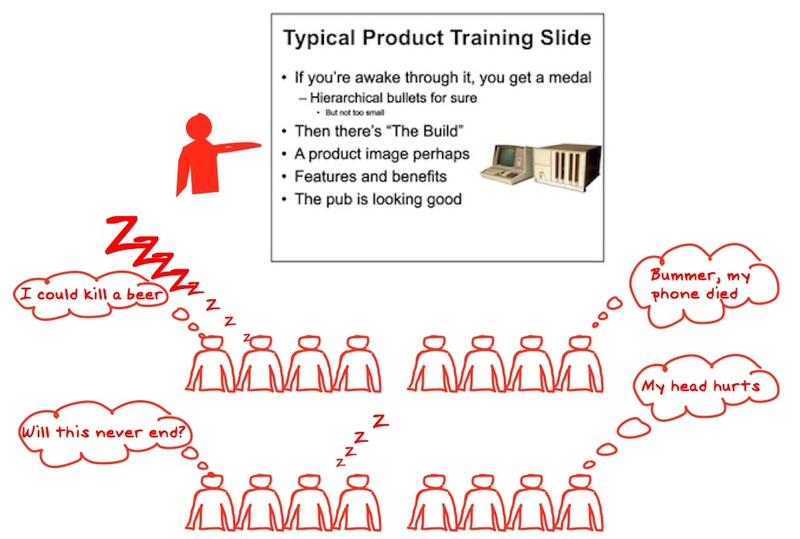 The combined sales team struggles with positioning company B’s products in a presentation and demonstration led sales cycle that takes between 60-90 minutes and is heavily PowerPoint oriented. Company A has a mature product and its buyers engage sales people in a value-added way at the business case or transaction-end of the buy cycle after they have determined needs and are ready to configure and buy the software. Company B’s products are still crossing the chasm to the early majority. They sell to Early Adopters (EA) early in the buy cycle as buyers see the potential in the products to get a leap on the competitors and are prepared to engage salespeople earlier - in a conversation of possibilities. Salespeople in company B behave more like technical consultants than “gung-ho” salespeople and invest lots of time and technical effort to help buyers to understand the risks in their approach as well as the upside. This by definition is Value-Created Selling, where the insight of the consultants creates momentum for change and shapes the buying experience. Company B salespeople are successful in winning pilots and they set the agenda for the eventual purchase, however sales cycle times are 12-18 months. Fans of The Challenger Sale will see an obvious parallel in approaches. Human factors far outweigh technology risks in M&A activity. Sales people will not position new products when they lack confidence and are uncomfortable in doing so...they will continue to position what they know and try to make their numbers selling their familiar product portfolio. Traditional approaches to sales training in the form of a PowerPoint whipping from product management and a sales portal stuffed full of promotional material will not help to reduce sales ramp-times in post-merger situations any faster than with new hires in existing companies. Sales enablement programs should begin by clarifying the value in the combined company offerings and the value-creation message. Salespeople need to be able to tell a convincing story starting with the WHY and the values and vision that drives the combined entity and how that manifests in value to the customer. This is the “Why?” in the Simon Sinek video. Traditional product training doesn’t work. Post-merger sales enablement needs classroom immersion and spaced repetition post-classroom, combined with sales management coaching, reinforcement and certification. One approach that has been proven in getting rapid message ownership in salespeople is visual storytelling. Visual storytelling is also extremely effective in helping salespeople to communicate their "big idea" quickly using visual confections when in front of buyers. Since this article was written, we have innovated on the storytelling process and can now deliver a visual storytelling and animated storytelling training session in one hour. The Challenger Sale - Who paid for your last sales call? What Price or Value was your last Sales Call? Would your prospect have paid you for the value they received from meeting with you or one of your sales executives on your last call with them? This is a vexing question and it's one of many vexing questions that have been on my mind since I read the "Challenger Sale". It's a question that should be keeping B2B sales enablement professionals, sales managers and sales professionals up at night. This question is vital in a World where buyers can find everything they need to know about your products and services without having to speak to you. On your last call, did you bring the gift of knowledge and insight? Did you educate the buyer on an industry issue or sub-optimal condition that you are aware of because of your domain expertise, view of the market, knowledge of their company and your unique understanding of how your capabilities can create value? Alternatively, would the buyer have invoiced you for 40 minutes of their time that they felt you robbed from them on your last sales call because you occupied their time, but failed to bring any value? I will introduce a couple of related concepts to begin to address the value of the sales call question.